Do you authorize us to process non-mandatory personal data? Privacy statement to download here. Do you wish to subscribe to our newsletter? It comes out once a month and, among other things, always offers an overview of the Allegro innovations since the previous edition. 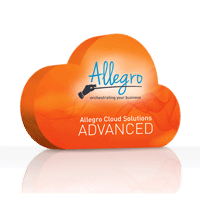 Thank you for your interest in Allegro Business Solution. We will proceed your request as soon as possible. The license covers an extended accounting module (according to the Czech or Belgian legislation), an invoicing system, selected business documents modules, and other tools extending the system. The license includes three user accounts for access. Custom modifications based on a previous analysis are possible (paid separately). Optionally the system can be extended to cover accounting by centres, detailed analytics, other trading tools and selected inventory modules. More user accounts or a larger file repository can be purchased separately. You may have noticed that the newsletter header, as well as the Allegro version annotation, looks a little different. Yes, after years we changed the logo design and chose a more modern concept. It is one of the innovations we are preparing to mark the 10th anniversary of the flagship of our software portfolio - Allegro Business Solution. You can find out what we are planning further in one of our next newsletters. For a complete overview of news and changes, see the release notes.